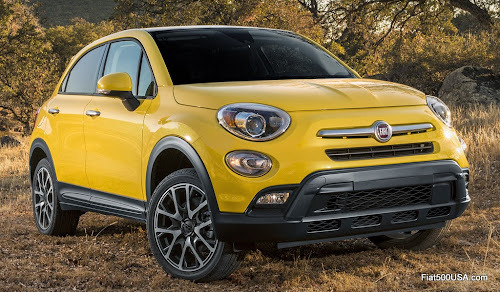 The all-new 2016 Fiat 500X is the latest addition to the FIAT lineup in North America, combining the authentic Italian design and engaging driving dynamics synonymous with the FIAT brand, together with advanced drive systems, unmatched functionality, and a full array of safety, comfort and convenience features. With comfortable seating for five, world-class craftsmanship, and superior ride and handling, the Fiat 500X delivers driving excitement, technology, safety and functionality to the rapidly growing small crossover segment. 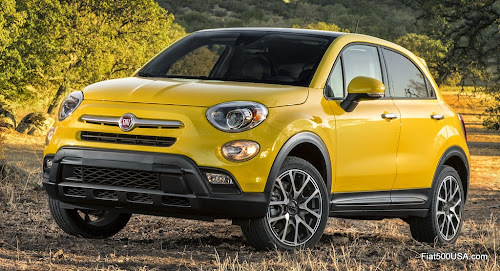 In the United States, the all-new Fiat 500X is available with the fuel-efficient 1.4-liter MultiAir Turbo engine paired with a six-speed manual transmission, with an output of 160 horsepower and 184 lb.-ft. of torque. The 2.4-liter Tigershark MultiAir2 engine produces 180 horsepower and 175 lb.-ft. of torque, and is paired exclusively to a nine-speed automatic transmission on all-wheel-drive and front-wheel-drive models. A disconnecting rear axle allows for reduced parasitic loss when all-wheel-drive capability is not needed, improving fuel efficiency. The Dynamic Selector system allows the driver to choose from three modes (Auto, Sport and Traction +) for the most suitable vehicle configuration for different driving conditions. The 2016 Fiat 500X offers up to 70 standard and available safety and security features, including Forward Collision Warning-Plus, LaneSense Departure Warning-Plus, Blind-spot Monitoring and Rear Cross Path detection. Electronic stability control (ESC) with Hill-start Assist and electronic roll mitigation is standard on all models, as are seven air bags. 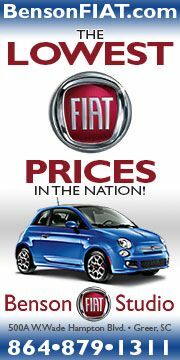 Loaded with technology and convenience, the Fiat 500X is available with features like Uconnect 6.5 radio with a 6.5-inch high-resolution touchscreen and navigation, Bluetooth streaming audio, Uconnect Access Via Mobile, a 3.5-inch color thin-film transistor (TFT) cluster display, Keyless Enter-N-Go, and heated front seats and steering wheel. The all-new Fiat 500X was designed at Centro Stile in Turin, Italy, where designers leveraged the character and iconic features of the Fiat 500 into a larger and more mature package. 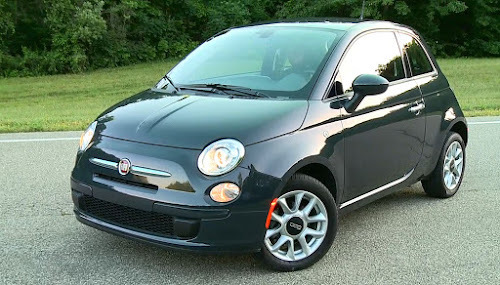 On the exterior, design elements like double headlamps, a trapezoidal nose, the signature “whiskers and logo” face and the rounded clamshell hood pay homage to the original Cinquecento. 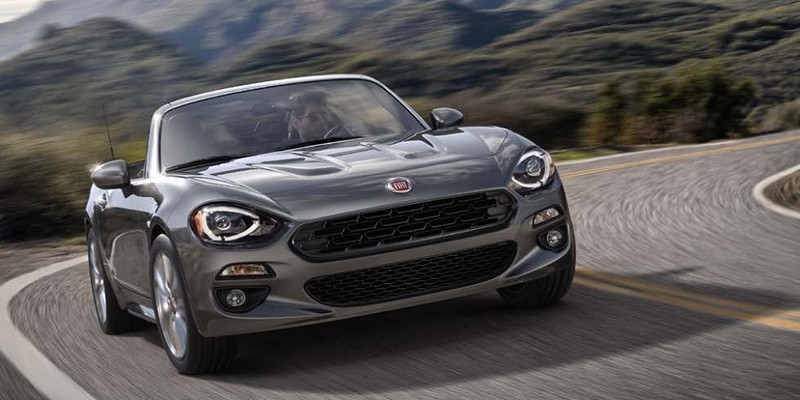 The purposeful and distinct Italian design carries through to the interior with clever storage, body-color instrument panel, a circular cluster display and iconic door handles. The 2016 Fiat 500X is available in five trim levels: Pop, Easy, Lounge, and for a more rugged look, Trekking and Trekking Plus. The Trekking and Trekking Plus models feature unique front and rear fascia designs, and satin silver accents for a distinct, adventurous appearance. 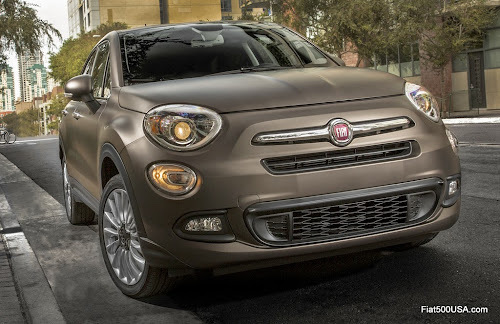 Crafted in Italy at Fiat Automobiles’ Melfi assembly plant, the all-new Fiat 500X will arrive in FIAT studios in North America in the first half of 2015. 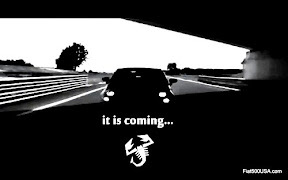 As a global vehicle, it will go on sale in more than 100 countries worldwide. Designed at Centro Stile in Turin, Italy, the all-new Fiat 500X leverages the character and iconic features of the Fiat 500 into a larger and more capable package. 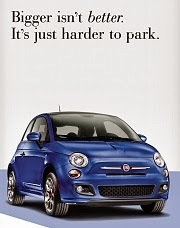 With recognizable Cinquecento features inside and out, the Fiat 500X delivers a combination of Italian design and functionality to the rapidly growing small crossover segment. Featuring comfortable seating for five, the 2016 Fiat 500X is available in five trim levels with distinct personalities: Pop, Easy, Trekking, Lounge and Trekking Plus. The all-new Fiat 500X provides more space and utility while remaining true to the brand’s heritage. 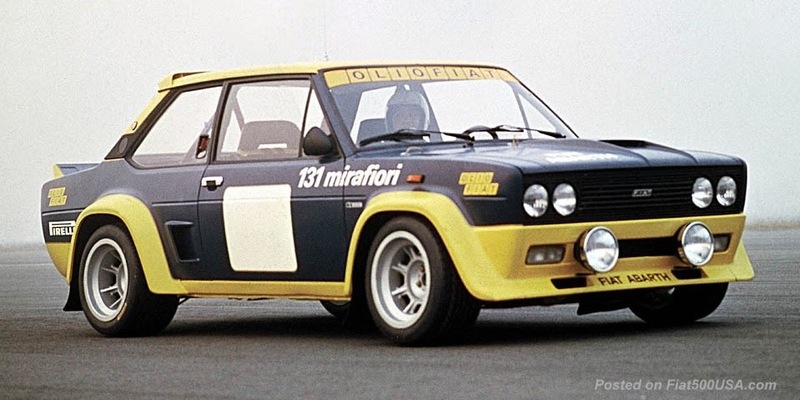 Design elements like double headlamps, trapezoidal nose, signature “whiskers and logo” face and rounded clamshell hood pay homage to the original Cinquecento. The Fiat 500X also features the smooth silhouette, 360-degree character line and chrome door handles characteristic of the FIAT brand. Building on the iconic design elements of the Fiat 500, the all-new 500X offers a more capable look with additional ground clearance, 16-, 17- or 18-inch wheels and robust wheel arches. 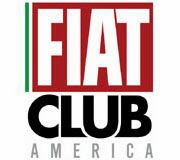 The all-new 2016 Fiat 500X will be available in 12 different exterior colors, including Nero Cinema (Black Clear Coat), Blu Venezia (Blue Metallic), Verde Toscana (Green Metallic), Bronzo Magnetico Opaco (Matte Bronze), Bronzo Magnetico (Bronze Metallic), Giallo Amalfi Tristrato (Tricoat Yellow), Grigio Arte (Gray Clear Coat), Grigio Argento (Gray Metallic), Arancio (Orange), Rosso Passione (Red Hypnotique Clear Coat), Bianco Gelato (White Clear Coat) and Rosso Amore (Tricoat Red). 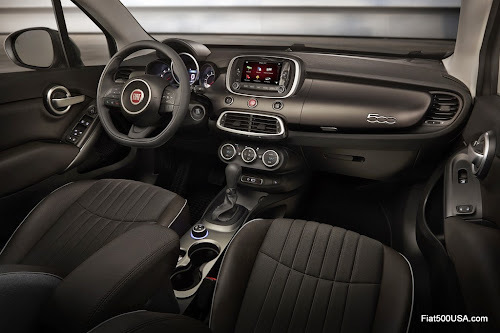 The Fiat 500X’s purposeful and distinct Italian design carries through to the interior, with classic Cinquecento elements such as a body-color instrument panel, circular cluster display and iconic door handles. Seven interior environments are available, with a variety of colors and fabrics, including Nero/Rosso (black/red) cloth seats, Testa di Moro/Grigio (dark brown/gray) premium cloth seats and Cuoio Anticato (Tobacco) premium leather seats. 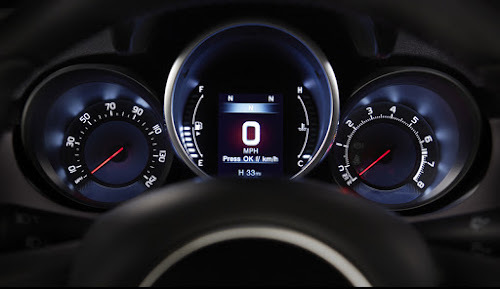 The instrument cluster features a standard monochrome and available color 3.5-inch thin-film transistor (TFT) cluster display, which allows drivers to customize and monitor information like fuel economy, outside temperature and driving range. 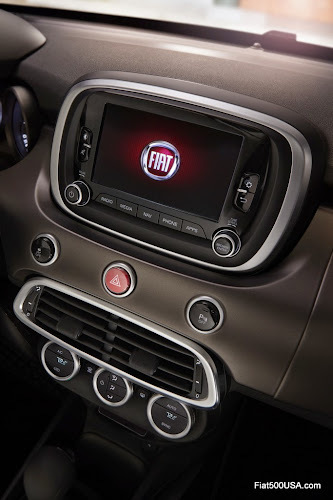 At the center, the Fiat 500X is available with the Uconnect 5.0 or 6.5 radio system, providing passengers with information and connectivity options on a 5-inch or 6.5-inch touchscreen. The Fiat 500X interior also provides unmatched utility, featuring a large rear cargo area with a height-adjustable rear cargo floor, second-row 60/40 split seats and fold-forward front passenger seat. Clever storage adds to the functionality of the 500X, including a dual glove box with a locking lower portion, center console storage and a bin at the base of the center stack that allows for storage and connectivity. An available dual-pane sunroof features a power sliding panoramic roof, with side glass panels that match with the bodyside sheet metal for a wide, spacious effect. A manual sunshade is provided to adjust the amount of light inside the vehicle. With rugged styling, the Fiat 500X Trekking and Trekking Plus models offer customers with active lifestyles a more capable look. The Trekking and Trekking Plus models feature unique front and rear fascia designs for a more aggressive appearance. Satin silver accents add to the distinct, adventurous look. 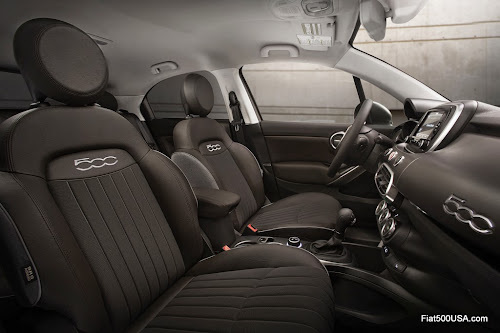 Inside, the Fiat 500X Trekking features a unique interior environment with Nero (black) premium cloth seats, while the Trekking Plus model comes standard with premium leather seats in either Nero or Cuoio Anticato (Tobacco).